The work includes small body-tuning movement inquiries, often based in a somatic study; and can range in variables to full out movement in space, focusing on a performance question. Movement ideas, while often specific, are explored with an improvised approach. A major goal is to increase awareness of our bodies structure, movement potential, space and ensemble, and composing-performance. As the work applies to body structure there can be a microscopic view on individual differences that apply in all contexts, where interdisciplinary potential is intrinsic. The workshop integrates theory and practice. And through movement-performance, and focused concentration, very detailed and dynamically ranging Somatic and Physiological questions, and relevant body-theories are considered (see cv for details). Ideas like Eyes and Connective Tissue, Connective Tissue and Proprioception, Proprioception Touch and Space, Body Systems and Quality, Composing-Performance are reoccurring foci. These ideas are woven into improvisations that range from tuning to training, doing to not doing, performing and composing etc, within various formats of ensemble. Vincent Cacialano has been involved in movement research and interdisciplinary arts for over 30 years, with in-depth studies in Laban-Bartinieff, Ideo-Kinesis, Alexander Technique, Feldenkrais Method and Body Mind Centering. 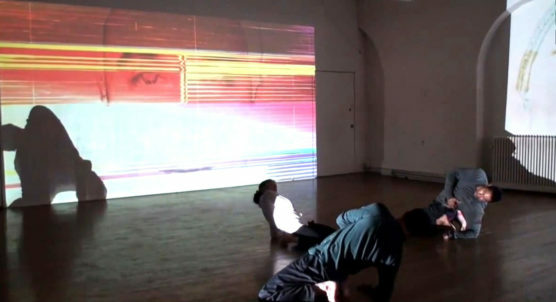 He currently publishes articles on body based performance, teaches as a regular visiting artist in several institutions internationally, is a member of the advisory team of The Journal of Dance and Somatic Practices, and collaborates regularly with artists internationally on projects in New York, Amsterdam, New Orleans, Pittsburgh, various locations in New England, and The U.K.. In his youth Vincent was a competitive gymnast, studied music, visual art and Shakespeare. Later he earned both Bachelor and Master of Fine Arts degrees, and was a George Washington University Fellow. He has been studying somatic practices and movement science in various ways since 1986 and has been applying that to his performance work. After MFA completion, Vincent moved to Amsterdam and taught at The School for New Dance Development. In Amsterdam he started working with Katie Duck on a few projects, and eventually with others Magpie Music Dance Company formed, a company that toured improvised performances internationally. Through his affiliation with Magpie, and the world of Improvised Performance, Vincent has performed alongside artists such as Katie Duck, Maida Withers, Steve Paxton, Nancy Stark Smith, Kirstie Simpson, Boris Charmatz, David Zambrano, Benoit Lachambre, Miguel Gutierrez, Pauline DeGroot, Julian Hamilton, Michael Schumacher and others. After Magpie Vincent worked as a Senior Lecturer at The Manchester Metropolitan University.